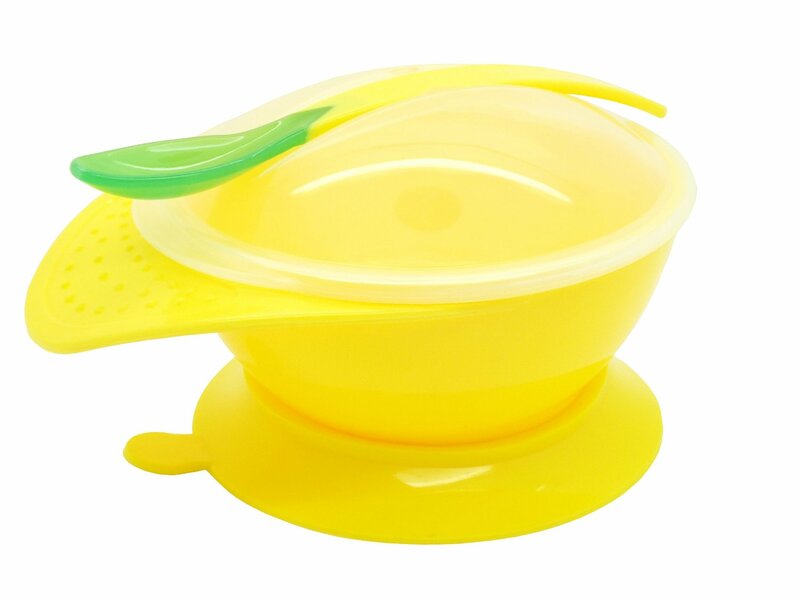 I just got this really great suction toddler/baby bowl from Snug. This is a really neat design that suctions to the table or counter so that baby can’t knock it off. I don’t know about you but my kids are horrible about knocking their bowls off onto the floor which leaves a huge mess for mom to clean up. I love this suction bowl. You can just press it down and it secures to the table. It holds well and keeps the bowl in one place so baby can eat or you can feed baby and not have to worry about it being knocked over or onto the ground. I also love that it has a lid that you can use if baby doesn’t eat all the food to put it in the fridge. I also love that the spoon fits snugly into the lid so it’s all together and you don’t have to worry about keeping track of the spoon, it won’t get lost! It also has a great lip on the edge that you can use to hold it if you are not using the suction feature. Great durable bowl. It’s also BPA free so no worries about toxins! You can purchase this bowl on Amazon!